Freiburgs Erstes IPA- Dolly ist das schwarze Schaf unter den heimischen Bieren. Viel Malz und viel exotischer hopfen wurden von uns zu einer wahren geschmacksexplosion gebraut. An IPA so good it can't be cloned. A decidedly hoppy and bitter, moderately strong American pale ale, showcasing modern American or New World hop varieties. The balance is hop- forward, with a clean fermentation profile, dryish finish, and clean, supporting malt allowing a creative range of hop character to shine through. Helles Malz, Dunkles Caramel und Chocolate Malt kombiniert mit ein fetten Brise West Coast Hopfen. The Horst Abides. A malty but hoppy beer frequently with chocolate and caramel flavors. The hop flavor and aroma complements and enhances the malt rather than clashing with it. Meet Ziggy! So wie ein Chameleon die Farbe, ändert sich der Charakter von Ziggy. Jedes mal mit Anderen Hopfensorten. Kein Sud ist wie der andere. Ever-Changing Never Boring. 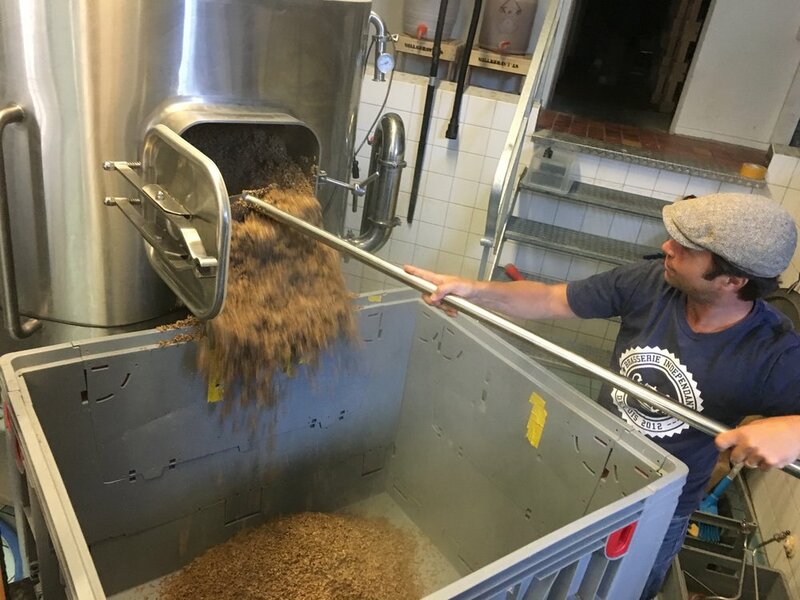 Slacklines und Longboards zur seite und platz für eine erfrischende sommerliche Hopfendusche: Summer Ale mit Neuseeländischem Motueka Hopfen. Voll Frucht und Frische. Take it slow like Moe. Take a deep breath and dive into this dank, sticky and pungent West Coast IPA. Jacques uses a ton of "C" hops to keep your taste buds longing for another plunge. Warning: Swim at your own risk. An intensely hoppy, fairly strong pale ale without the big, rich, complex maltiness and residual sweetness and body of an American barleywine. Strongly hopped, but clean, dry, and lacking harshness. Drinkability is an important characteristic; this should not be a heavy, sipping beer. These are our beers that bring us the most excitement to brew and share. Experimenting with new ingredients and processes we have created beers that push boundries. These beers will see limited distribution, and are brewed only once. The only thing better than drinking beers with friends is brewing beers with friends. We have been lucky enough to brew with some of our friends from around the world. These beers are generally harder to find and are brewed in smaller quantities. Click here for more info on our friends at Sainte Cru. Click here for more info on our friends at St. Laurentius. Click here for more info on our friends at Martins Bräu. 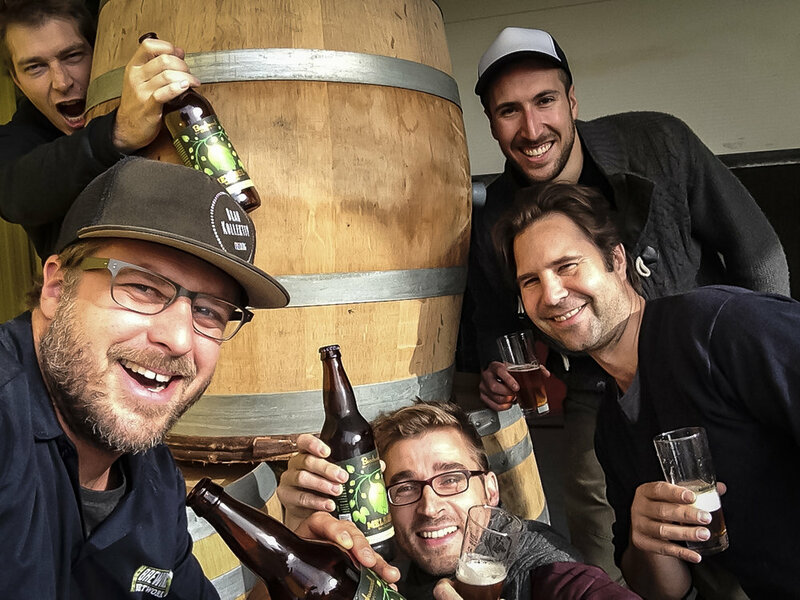 Click here for more info on our friends at Trustworthy Brewing. Click here for more info on our friends at Hopfengut Nº20.